The Bikes Belong Coalition is offering Community Partnership Grants, which are designed to support partnerships between city or county governments, nonprofit organizations, and local businesses that aim to improve the environment for bicycling in the community. 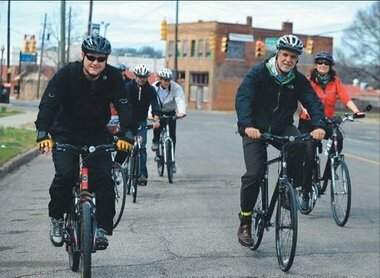 The goal of the Bikes Belong Coalition, sponsored by the American bicycle industry, is to put more people on bicycles more often. Grants, ranging from $2,000 to $10,000, are primarily provided for the construction or expansion of bicycle facilities such as bike lanes, trails, and paths as well as advocacy projects that promote bicycling as a safe and accessible mode of transportation. The application deadline is May 24, 2013. Visit the Coalition’s website to review the application guidelines and download the application form.